Include a company name in the title? (Entry was posted by Rohan Ayyar on this post in the Dumb SEO Questions community on Facebook, Thursday, July 4, 2013). What`s the latest on the old Include Company Name in All Page Titles vs. Don`t question? Where do you stand? You can download this video (529MB) to watch later. You can also download the audio only version (189MB) of this HOA. I say include it. I don`t care if that is the SEO answer or not, I like to be able to work out which page i`m looking for if multiple tabs are open and company/site name is the easiest way. I say if the name is already in the URL there`s no need to include it in the titles. To me it`s a waste of space for optimizing your titles. I do think its ok if you want to include it on pages like an about page, company info, contact etc. 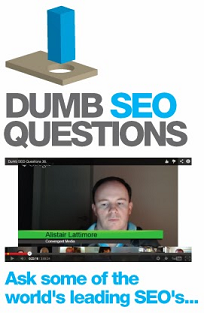 View original question in the Dumb SEO Questions community on G+, Thursday, July 4, 2013). Is it ok to put one video on 2 separate posts? How to maximize the social media signal for my new pages? showing images of Google Plus Business page for websites in SERP. Dumb SEO Questions Community reaches 5000 members. Would I lose ranking if I change the domain name of my website? Google+ releases new widgets for communities and pages. Saving social data for articles. What would be the best seo solution to handle this? 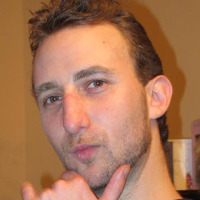 DNS errors in Google Webmaster Tools. Do you remove Etag from headers? Do potential clients search by Image Search, especially on Google? Is there a way to keep social factors and scored rankings from one blog to another? Have you been demoted since the latest algorithm updates? How to rank for a target country - Tanzania. Google Disavow Link Tool Advice Needed Please. What if I lose control of my old domain? Which tools do people use to check the links for low quality? How to create an SEO Plan for a new website? Can #SEO really be sold as a package anymore? Lost rankings after implementing new design.